A Leader in the truest sense of the label. What is in a name? Everything, I would suggest. There is probably nothing that plays a bigger part in a person’s life than that person’s name. Decades ago Dale Carnegie canonized the principles of making friends and influencing people, and his third principle was “Remember that a person’s name is to that person the sweetest and most important sound in any language“. The first thing people do when they meet is offer their name, the first thing we do when we welcome a pet into the home is name it. Names are labels, and labels are a pre-occupation of human kind. Listen to politicians and pundits in debates, they will overwhelm you with simplistic labels that often pack very deep and complex meanings. Just as often the definition underlying such labels are lost on or misconstrued by the audience, but that doesn’t hinder the debate. Better to call this person a “dictator” than a “leader”? When I was with the Office of the Veterans Ombudsman our staff began using the default term “stakeholders” to refer to the people we served but I quickly intervened. That term was already in use by the Department in reference to the major advocacy groups and individuals in the veterans community. They were most certainly NOT our stakeholders. In fact, several of the major groups had encouraged the government not to create an ombudsman position, insisting that they already fulfilled that function. Nothing could be further from the truth, however. Their stake in our existence was minimal, the real stakeholders were the veterans themselves and their families. Indeed there were occasions where the Department’s so-called “stakeholders” were implicated in the complaints we received from our true “stakeholders”. I felt that was a very important distinction that had to be made and consciously embraced in order to nurture within the Office a culture of empathy and commitment towards our veterans and their families. This brings me to the point of this post, in fact the point of this entire site. 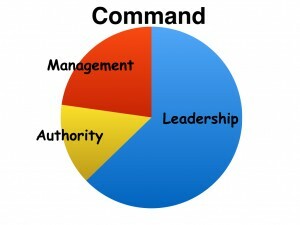 I submit that we use the term “Leader” too loosely. 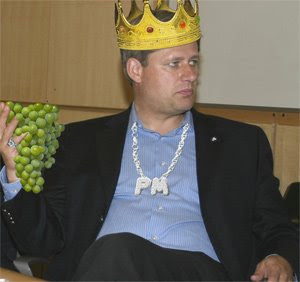 In his book “Irresponsible Government: The Decline of Parliamentary Democracy in Canada” fallen-Conservative caucus member Brent Rathegeber asserts that in the capacity of Prime Minister the party “leader” should not be a “lord” over the caucus – his words. I would inject other labels such as ruler, dictator, director, chief, or even the title “commander” because in the Gorilla Command Model the “leader” has a very precise meaning. 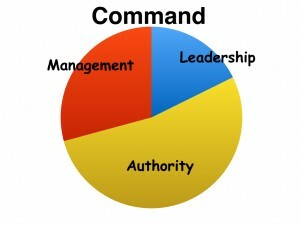 I hasten to add that, in the Model, the attributes of leadership, management, and authority are not mutually exclusive. 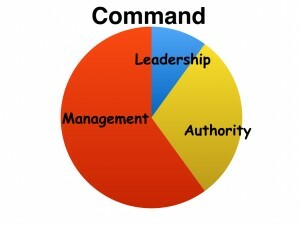 Although a person in charge (PIC) may choose a singular approach to command, a PIC who governs autocratically can still be considered leader-biased so long as the collective end-state is ahead of the competition and serves a common or greater good. In the final analysis, I am under no illusion that we could assign labels to supervisors that more precisely describe their method. That would be inconvenient and confusing. Suffice to say that anybody with a genuine desire to serve humankind in whatever capacity at any level will discriminate between the various approaches to stewardship.